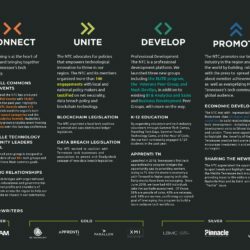 Download the 2018 NTC Annual Report one-pager. 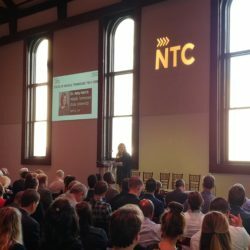 Download the 2018 NTC Annual Report. 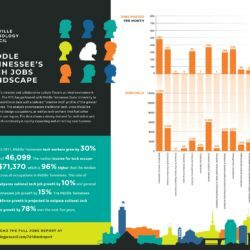 Download the MTSU State of Middle Tennessee Tech 2018 Report. 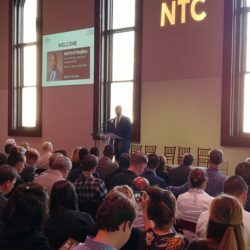 Download NTC President & CEO Brian Moyer’s State of the Tech Industry Address. 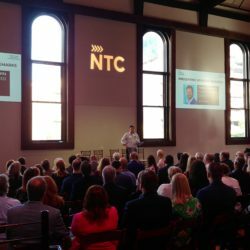 Today, the Greater Nashville Technology Council hosted its 2018 NTC Annual Meeting to more than 300 members of the region’s tech community at the Bell Tower in downtown Nashville. 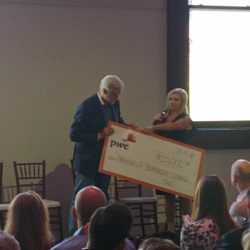 Qualifacts Systems is one of Nashville’s local tech success stories and is the Presenting Sponsor of this year’s Annual Meeting. The morning program was kicked off by Ashford Hughes, Chief Diversity, Equity and Inclusion Officer in the Office of Mayor David Briley. 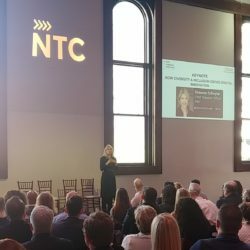 Dr. Amy Harris, Associate Professor in the Department of Information Systems & Analytics at the Jones College of Business, Middle Tennessee State University presented her State of Middle Tennessee Tech 2018 Report. The report was just part of the excitement. 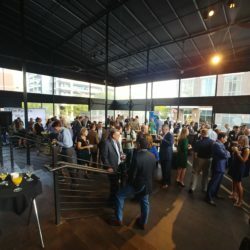 Brian Moyer, President and CEO of the Greater Nashville Tech Council, provided his State of the Tech Industry Address and put into context how the jobs growth goes hand-in-hand with making the Tennessee a place to start a business, innovate, and make a better living. A summary of the work of the NTC and its members in the community can be found in the 2018 NTC Annual Report, which can be found here. 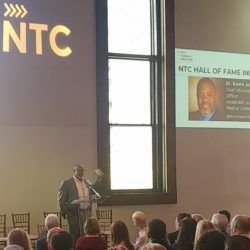 Also announced at the Annual Meeting was the 2018 NTC Hall of Fame inductee, Dr. Kevin Johnson, Chief Informatics Officer, Vanderbilt University Medical Center. Johnson is an internationally-respected developer and evaluator of clinical information technology, and a leader in the medical informatics field. In his role VUMC, he has been instrumental in revolutionizing how patients, doctors and care teams share information, leading the charge to develop and implement new technologies across the organization. 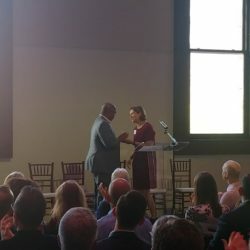 Johnson has been a leader and active participant in the Nashville healthcare and technology communities, serving as a Board Member of Tennessee HIMSS and taking an active role to develop the tech workforce in Middle Tennessee. 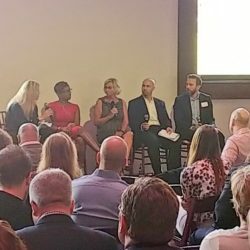 Schuyler followed up her thought-provoking speech with a discussion on diversity in the workplace with Jaynee Day, President & CEO of Second Harvest Food Bank, Janessa Cox-Irvin, head of Diversity & Inclusion at AllianceBerstein, Chris Bayham, CIO of Change Healthcare, and Logan Steen, Regional HR Consultant / Site Director with Dell Nashville. 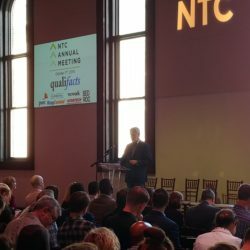 For live updates, follow the #NTCAnnualMtg & #InnovationandInclusion hashtags on twitter.